Sorry for the silence! I’ve been catching up on some long overdue DIY around the house! It’s been two years since we moved into our house and I’ve been so busy with the kids, blog, book and various pieces of work that our home has been totally neglected! 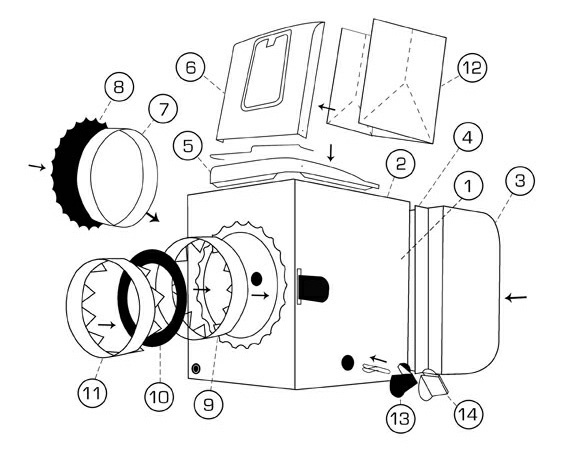 My cousin sent me a link to this amazing printable 35mm Pinhole Hasselblad Camera and I thought you lovely folks might think as highly of it as we do. It’s definitely on my to-do list! You can download the camera from Kelly’s site and there are full video instructions you can follow. I’ll be back on Monday with a new paper-craft project! Hope you all have a great weekend between now and then. I’m still pinning lots of crafty projects on my Pinterest site so do check it out if you haven’t already. I’m thinking of setting up a group craft board so if you are interested then leave a comment below. BTW my cousin is in a band called Officers. You can check out their site here. They just toured with Gary Newman…very cool!! Definitely interested. I’m thoroughly addicted to Pinterest, and all the fabulous crafts I find on there! Anyone still have the file for download?